In the wake of Putin’s article on national security for Rossiyskaya Gazeta, there has been renewed interest in Russia’s ambitious military modernization plans for the next decade. I am not a specialist in this (unlike Dmitry Gorenberg and Mark Galeotti, whom I highly recommend), but I do think I can bring much-needed facts and good sources to the discussion. 1. This is not a new development. 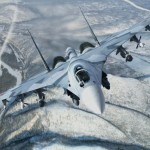 In fact, the massive rearmament program was revealed back in 2010 (I wrote about it then). Russia’s armed forces were neglected in during the 1990’s and early 2000’s, and enjoyed only modest funding until now; relative to Soviet levels, they are now far degraded. The main goal is to create a mobile, professional army equipped with modern, high-tech gear by 2020. 2. To recap. With oil prices high and Russia’s fiscal situation secure, it IS affordable; it’s not like the old USSR (or today’s US for that matter) spending money it doesn’t have. I also don’t necessarily buy the argument that most of the additional funds will be swallowed up by corruption or inefficiency. Massive new procurement can create temporary bottlenecks, which raises prices, but on the other hand it also allows for economies of scale. The real question is whether Russia absolutely needs to retain the hallowed One Million Man Army, which would appear far too big for the modest anti-insurgency or local wars it may be called to fight in the Caucasus or Central Asia. (There is no possibility of matching NATO or Chinese conventional strength in principle, so that consideration is a moot point). 3. Putin argues for 700,000 professional soldiers by 2017, with the numbers of conscripts reduced to 145,000. This is a huge change, as today – with the failure of the attempt to attract more contract soldiers under Medvedev – conscripts still make up the bulk of the Russian Armed Forces. Many are ill-trained; even things like dedovschina aside, it is impossible to create a good soldier capable of fighting in modern wars in one year’s time. So if successful this will undoubtedly be a change for the better. 4. Will this effort be successful? Based on the results of the previous attempt, Streetwise Professor argues not. I disagree. The previous attempt was marred by the inconvenient fact that salaries were ridiculously low; few reasonably bright and successful people would want to make a career of the military. But since January 1, 2012 military salaries have been radically increased, so that whereas before they were below the average national wage, they are now about twice as big. According to this article this is how the new salaries look like in international comparison. When one also bears in mind that living expenses in Russia tend to be lower than in most developed countries, it emerges that the new pay scale is only slightly below West European standards. 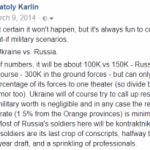 Furthermore, whereas the West European rates are similar to their prevailing national average salaries, the average salary of the Russian lieutenant will be twice higher than the average national salary, which was $800 as of 2011. Remarkable as it may seem based on current culture*, but it’s quite possible that the military will come to be seen as an attractive career choice in Russia. Below is an infographic from Vzglyad which gives you some idea of the extent of the increases. There are three rows of figures for each rank. The third one represents the average salary (including bonuses). The dark column represents 2011, the lighter column represents post-Jan 1st, 2012. 5. The total cost of the program to 2022 is 23 trillion rubles: 20 trillion for modernization, 3 trillion for defense plants. 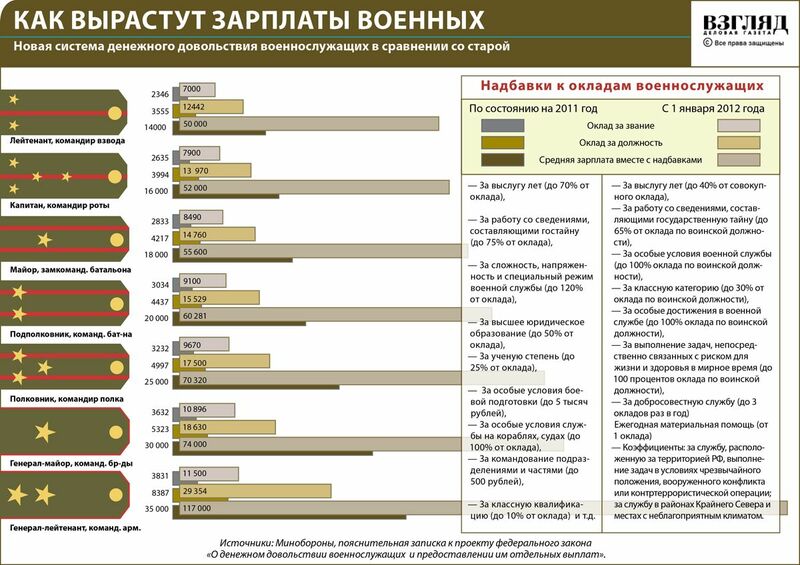 According to Vesti, 1.7 trillion rubles will accrue to the additional costs of higher salaries and military pensions in 2012-14 alone. Extending this to 2022 gives a figure of 4.2 trillion rubles. However, we can expect the costs after 2014 to increase further, because of the growing share of contract soldiers and probable further increases in military salaries. So in practice that would probably be something like 7-10 trillion rubles on personnel costs. So while the rearmament program which focuses on “hardware” is gargantuan, the increases in spending on “software” are very substantial as well. 6. Another myth is that the increased military spending will bite hard into social spending, education, and healthcare. After all, the projected federal budgets show declines in the share of education and healthcare spending, while military spending increases. I bought into it, until I found this article by Sergey Zhuravlev, a noted Russian economist. This is because of the changing structure of government spending. First, under Medvedev there was a big increase in spending on anti-crisis measures (which are temporary and have now ebbed away), then on big increases on social spending in the run-up to the elections. So naturally, as revenues grow, there will develop room to increase military spending without decreasing social spending, e.g. on pensions. The sum total of the increase in military (and general security, police) spending is not going to be more than 1.5% points of GDP. In practice, most of the increased spending will accrue at the expense of declines in spending on the national economy and (a very modest) amount of new debt. The former is substantially associated with the end of spending on the Sochi Olympics. So the picture, as Zhuravlev argues, isn’t so much “guns instead of butter”, as “guns instead of Sochi.” As for the debt, it will only constitute an additional 3.5% points of GDP to 2014, which is an insubstantial sum, especially considering Russia’s minimal aggregate levels of sovereign debt. * Even here I need to make a caveat. Whereas the Army is very unpopular in intelligentsia, Moscow, and emigre circles (of which I am, admittedly, a part) this isn’t quite the case at the all-Russia level where opinions are on balance ambiguous, NOT negative. A majority consistently approves of the Army, and as shown in this Levada poll, even opinion on conscription is typically split 50/50. Only 21% think that Army service is “a waste of time.” The lesson is not to make general extrapolations from unrepresentative samples. ** This is assuming that the whole military spending thing isn’t just pre-elections braggadocio that will be quietly dropped in favor of boring, useful stuff like transport, education, and healthcare as argued in a recent Vedomosti article citing anonymous government sources. I guess that’s a possibility, but I doubt it will happen; the big military spending rises have been in the works far too long to be just dismissed this May.